Noctuary Press is a small press based in Buffalo, NY. We focus on female writers working with cross-genre prose forms (such as flash fiction, prose poetry, footnoted texts, etc.). All too often, writing that is easily classifiable as “poetry,” “prose,” or “nonfiction” is privileged over exciting literary work that is not so easily categorized. Noctuary Press seeks to create a public space for women writers working across literary genres. We publish writing that does not simply challenge the notion of genre, but engages it in a meaningful way, assessing both the artistic possibilities and the dangers inherent in maintaining genre categories. With that in mind, Noctuary Press strives to open up a dialogue among writers, reviewers, and readers about what constitutes a literary genre, the purpose of genre categories, and, perhaps most importantly, the politics of genre categories in the literary community. We focus on female writers because these efforts to define, label, and categorize literary texts often reflect larger power structures in the literary community and in the academy. 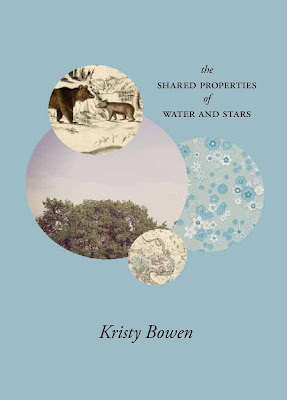 Our 2013 series includes titles by Carol Guess, Kristy Bowen, and Eva Heisler. 1 – When did Noctuary Press first start? How have your original goals as a publisher shifted since you started, if at all? And what have you learned through the process? Noctuary Press began in the fall of 2012, although almost a year of planning had taken place beforehand. When I initially started the press, I was very interested in publishing cross-genre prose work. I thought I'd mostly be publishing flash fiction and prose poetry. One thing that's really surprised me (in a good way) is the infinite variety inherent in cross-genre writing. I began to see that writing that engages questions about genre doesn't necessarily have to take the shape of a prose poem. We've published erasures, lyric essay, and even a book-length meditation on the line. I've really enjoyed seeing the variety of the submissions, and the many different ways writers approach these questions of genre. I've been fortunate enough to publish several books while still a graduate student. For me, publishing a book was a really transformative experience, since it allowed me to be part of a literary community. When I started the press, I really wanted to give something back to the literary community, and to make these opportunities available to other writers. In my opinion, small press publishing serves to democratize public literary spaces. When there were fewer publishers, fewer voices were heard, since only privileged individuals had access to the means of production and dissemination. The revolution in technology, and proliferation of small presses and little magazines, has given social groups outside of the mainstream a voice. Because anyone can become a publisher, and at a very low cost, we've seen a greater diversity of people represented in public literary spaces, including women, experimental writers, writers of color, and the list goes on. Many publishers working today are interested in cross-genre writing. But so much of the work that's published is merely rebellious, and rejects the notion of genre without interrogating it in a meaningful way. Noctuary Press does just this. We are interested in work that examines the sociopolitics of genre formation, and our books are intended to start a conversation about genre among readers, reviewers, and other small press publishers. I see social media technology as an extremely useful tool for promoting new books. In my opinion, sites like Facebook, Twitter, etc. make it possible to reach infinitely more people than at a literary reading or author event. In my experience, it's usually friends who come to readings, and most of them already have copies of my books. Promoting books online makes it easy to reach people who might not already know about the press, and who would likely be interested in getting copies of our books. Although I'm very involved in book design, I'm not too involved in editing the work itself. I definitely trust the authors who's work I select, and allow them to make edits to their own text up to the point it goes to the designer. We publish books with an initial print run of 50-100, but will print more books if these sell out. We distribute them through Amazon.com, as well as through author readings and events. I'm the sole editor of Noctuary Press, so I'm responsible for choosing the work that gets published. I work with David McNamara of Sunnyoutside Press in order to provide books of a professional quality. Usually, I'll do most of the interior layout for the book, and make suggestions about cover design. David then designs the cover and sends the book to the printer. I'd definitely recommend his services to anyone looking to start a small press. With that said, I think of myself as collaborating more with the authors themselves than other editors. I actively seek input from them about cover art, review outlets, promotions, etc. The benefit of being the sole editor is that I'm able to work much more closely with the authors than I would otherwise. I started the press because these questions about the sociopolitics of genre formation were important to me, and to my work as a poet. Starting the press has shown me myriad possible approaches to this same question. It's made the concerns about gender, genre, and power that I engage in my own work richer and more multifaceted than they seemed before. It's been a privilege to be exposed to new forms of writing, new possibilities, and writers with different backgrounds than my own. It depends on the goals you have for publishing your work. If you want to get your work out into the world, than publishing your own book may be the most expeditious option available. But some writers seek a sense of legitimacy by being able to say that they've made it past a cultural gatekeeper other than themselves. I think both perspectives are perfectly legitimate. With that said, I prefer to be published by other presses, since this process has helped form valuable connections with other writers and editors. Being published by another press also helps bring your work to a new audience, which is something that's also very important to me. 11– How do you see Noctuary Press evolving? I'm hoping to publish more books in the future, and to represent greater diversity in our catalogue. I see the press continuing to publish women writers working across genres, but representing greater variety within the categories of "women writers" and "cross-genre writing." We've had a very encouraging critical response to the works we've published. I've been delighted by the intelligent reviews, positive features about us in magazines, and the incisive analyses I've seen of our titles. In the future I'd like to work on improving sales. I look forward to getting more books into people's hands, since this will benefit the press and the authors. I feel that the authors we've published deserve a wider readership, and I hope to accomplish that for them. Kristy Bowen's Dancing Girl Press was definitely an inspiration. I marvel at how many books she's able to publish as the sole editor, designer, and distributor. And the quality of her editions is something I aspire to. The same goes for Gina Abelkop of Birds of Lace Press. I'm grateful that there are other women before me, who have shown others what's possible within the realm of small press publishing. 14– How does Noctuary Press work to engage with your immediate literary community, and community at large? What journals or presses do you see Noctuary Press in dialogue with? How important do you see those dialogues, those conversations? Since most of our authors reside outside of the greater Buffalo area, we haven't engaged with the local literary community to a great extent. For this reason I'm very excited about our first publication launch in Buffalo later this month. I see the press as being in dialogue with presses that publish experimental writing—like Tarpaulin Sky Press, Apostrophe Books, Sidebrow Books, Dusie Books, and many others—although surely I flatter myself here. With that said, I also see the press as making up for something that other presses aren't doing, so Noctuary is filling a gap in this conversation. Noctuary Press offers to set up readings for authors, and I wish more people would take us up on that offer. I think readings are important for aesthetic reasons. The audience is able to see how the poet envisions her work existing as performance. I think that more readings are performances than we realize. Every poet has a persona, and this is often an extension of the work itself. With that in mind, it's important to get to know how the poet represents her work out in the world. I use the internet for almost all the press's promotions, marketing, etc. I don't think that Noctuary could exist without it. While it's important for Noctuary to build and audience in Buffalo, the internet is what allows us to reach people beyond our immediate community. The internet is also useful for finding out about author's we'd like to publish. It adds to the diversity of our catalogue, and the richness of the conversation surrounding our books. We operate mostly by solicitation, but hope to have an open reading period in the near future. With that in mind, we aren't looking for traditional poetry, work that doesn't take risks, or writing that doesn't question the literary tradition that the writer has inherited. 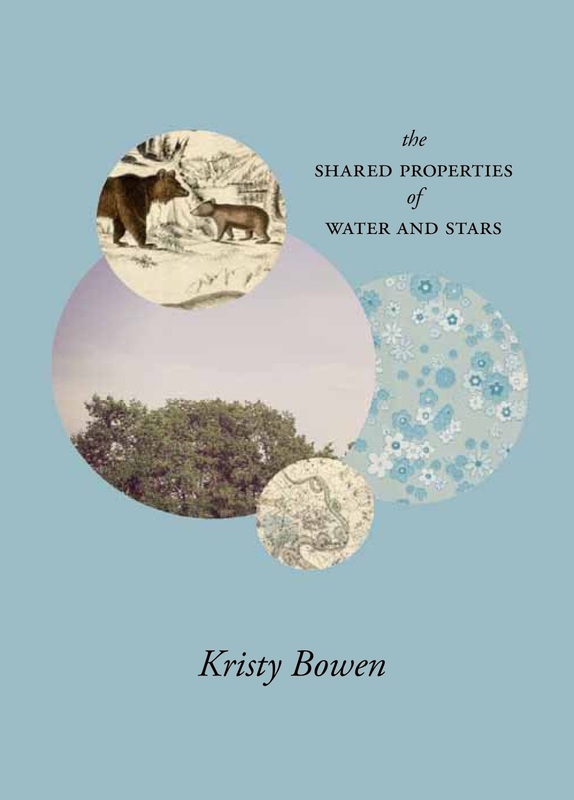 Our most recent title is Kristy Bowen's the shared properties of water and stars. It's a remarkable book. Kristy presents us with poems in the guise of algebra word problems. Never have I seen mathematics and logic rendered so beautifully. Carol Guess's F IN offers a provocative engagement with the tropes of genre fiction. She has erased her own YA novel, leaving only shards of a story that once was whole. I love that she invites the reader to assume a more active role, rather than passively glossing over the literary tropes they already know to expect. Lastly, Eva Heisler's Drawing Water offers readers a beautiful matching of form and content, in which the author's smallest technical decisions illuminate and complicate the text itself.